This year we also honor a host of influential saltwater gurus who have helped shape the future of practically every young professional hopeful coming up the ranks in Huntington Beach. H.B. High School has always had a strong tradition of being one of the top competitive surf squads in the nation, most recently winning its 18th National Scholastic Surfing Association (N.S.S.A) National Title in 2016. Bill Garland was instrumental in giving the program it’s first signs of life 50 years ago. He was forced to organize a “surf club” instead of “surf team” since he was met with resistance from other school coaches who considered surfers low-lifes. Nonetheless, Garland’s early efforts planted the seeds necessary for future success. Under the helm of Bruce Gabrielson in 1975, H.B. High surfers were finally acknowledge as student-athletes, meaning surfers became eligible for the school’s athletic awards. After five years as a “club”, a true H.B. High surf team emerged. And they went on to battle for the state championship. Next up was Coach Rob Hill, who not only successfully ran the team but also, along with Chuck Allen, founded the N.S.S.A. He groomed a young Bud Llamas and traveled with him to Australia for an international competition. Fellow N.S.S.A founder Chuck Allen took the H.B. High coaching position after Hill and continued to receive praise and admiration from local parents, most of who claimed that if it wasn’t for his surf program, their kids might actually be cutting school to go surfing. Allen led the team to five national titles in the 1980s before moving on to establish the United States Amateur Snowboard Association in 1988. 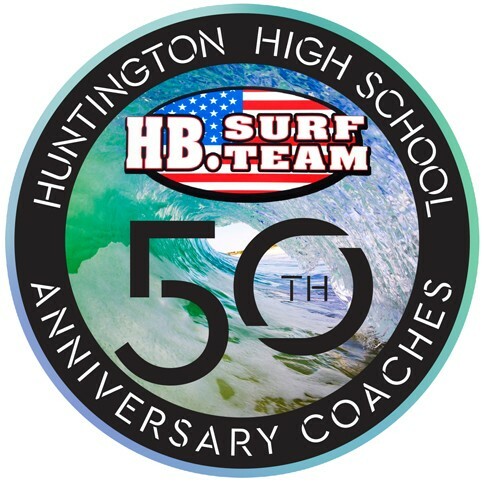 Coach Andy Verdone took over from Chuck Allen in '87 and immediately lead the Huntington Beach High School surf team to a N.S.S.A. National title and his since captured ten N.S.S.A. National titles while coaching the likes of the Deffenbaugh brothers, Jay Larson, Micah Byrne, Shaun Ward and Brett Simpson. A huge part of Coach Verdone's program was his annual journeys taking the H.B.H.S. team around the world during summer vacations to such destinations as Australia, South Africa and Ireland.